I saw a post on social media today that I feel compelled to share. 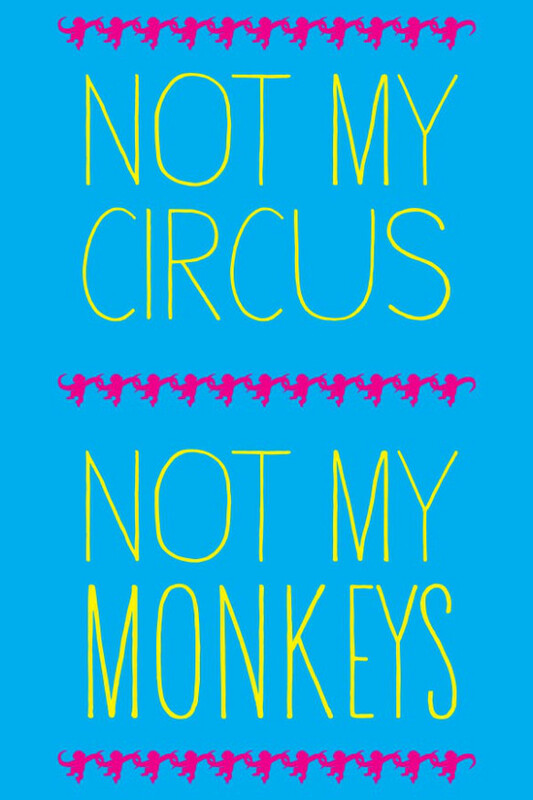 It captured the translation of an old Polish saying, “Nie mój cyrk, nie moue małpy” which means, “Not my circus, not my monkeys”. I like this saying. A lot. To me, the implication is a cross between the familiar, “Not my problem, man” and “I’m staying out of this.” I like it because it’s pithy and efficient. Subtle yet direct. Graceful as it walks the fine line between self awareness and self assurance. And when used ideally, I imagine it spoken by a person who is receptive and concerned, yet conscious of boundaries. Yup. 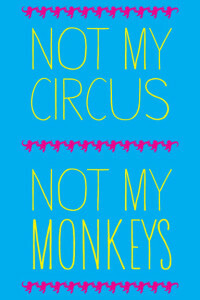 I think I’m going to adopt this saying. Maybe even design a T-shirt with it as well.